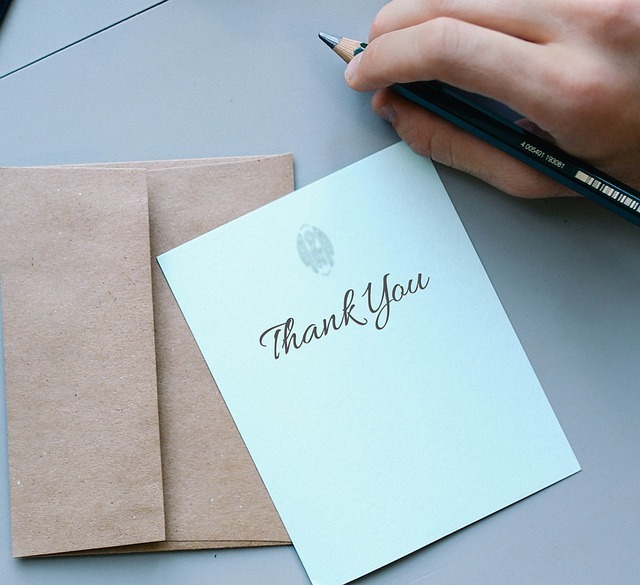 How Important Are Thank You Notes in Executive Job Search? Job seekers these days seem to pay less attention to good manners and etiquette through the job search process . . . Which makes these positive qualities an even more powerful asset to those who always display them. People with particularly good manners stand out above those who don’t bother or never really learned how. Buy a few boxes of quality thank notes and plenty of postage stamps, and start using them regularly. Yes, I mean good old-fashioned paper note cards. Savvy job seekers send personalized hand-written thank you’s to EVERYONE they interact with in their job search – those involved in interviews in any way, people in their network who provide introductions, employers and colleagues who write recommendations, etc. Very few job seekers send thank you’s after interviews, so the impact for those who take advantage of this little-used strategy can be significant. I often hear stories about job seekers who didn’t get the job, but sent thank you notes anyway, and eventually landed the job when the first hire didn’t work out. Employers were that impressed with the fact that they had sent thank you notes. In a pinch, emailed thank you’s are okay, and sometimes the only option if timing is a factor, but they just don’t have the impact a snail-mailed one does. Think about the last time you received any kind of hand-written note in the mail. Didn’t it make you feel good – that someone took the time and consideration to sit down, pen some thoughts, and pop it in the mail? 1. They allow you to thank interviewers once again for their time. 2. They keep you top-of-mind as a good-fit candidate. 3. They allow you to mention highlights of the interview conversation and reiterate your interest in the position and the company. 4. They provide an opportunity to once more reinforce your personal brand and value proposition for that company. 6. 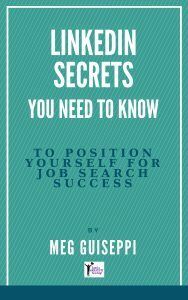 They provide an opportunity to ask about the next step in the interview process. 7. They can be the make-or-break deciding factor in you landing at that company sometime in the future. 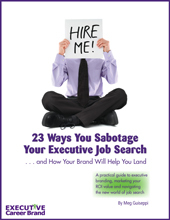 Don’t give up on the job (or the company), if you screwed up the interview. You may be able to turn things around with a thoughtfully-written thank you letter, addressing the negative issues. “An engineer interviews for a job he really wants. He doesn’t perform well and feels horrible. After all, he’s good with his hands, not his communication. He wasn’t going to send a thank letter, but his career consultant convinced him he had to. Together, they talked about what went wrong during the interview. Then, they created a thank you letter that readdressed the botched questions, especially since he was an expert on that topic. The letter also included a quote directly from a letter of reference from a former boss. They also included that letter and an article the engineer had written on the topic. Address where you fell short in the interview and sell the value you offer when you craft your “second chance” thank you letter. You may get nowhere with this letter, but why not try? You have everything to gain. ⇒ Get the full name, correct spelling, and title of each interviewer. Collecting everyone’s business cards is a great way to do this. Your answers that had a positive impact, captured their attention, and/or represented important skills to meet the company’s current challenges. The concerns about you they voiced. Items you forgot to mention in the interview. Remember to personalize the content in each note. Don’t copy exactly the same information in every one. These people may share the notes you sent them. DON’T write the note before the interview and hand it to the employer at the end of the interview. Remember to sign the letter. Because the distribution of mail at some workplaces is slow, it may be best to immediately send an email thank you, followed by a hand-written one. The second thank you they receive is another gentle way to stay top-of-mind with potential employers. Beyond the interview process, remember to send thank you’s to people in your network who helped you. Acknowledging your appreciation can make all the difference in keeping you and your personal brand top-of-mind with them for opportunities they hear about that may be a good fit for you. 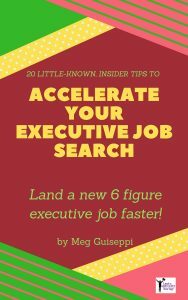 Executive Interview: What Questions Do YOU Ask? 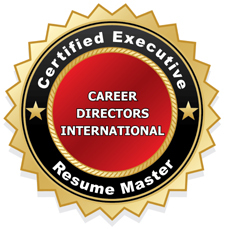 Are You Executive Job Search-Ready? 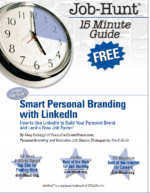 Need help with personal branding, your LinkedIn profile, resume and biography, and getting your executive job search on track . . . to land a great-fit new gig? Take a look at the services I offer, how my process works and what differentiates my value-offer . . . then get in touch with me and we’ll get the ball rolling. I’ve been years in the business of hiring people and a few actually thank me, even if I didn’t hire them yet and after the interview. It’s really true that job seekers these days seem to pay less attention to good manners and etiquette through the job search process .. But there’s more out there who can thank you for every simple act that you do. Thank you for this. Made me realize things. Clay, I’m guessing that the people who did take the time, and have the courtesy, to thank you stood out in a very positive way. Probably made you want to help them more, so it’s certainly to every job seekers benefit to be liberal with thank you’s. Many thanks for taking the time to comment. Much appreciated!